Are you a registered Nurse looking for a new agency? (*T&Cs apply) Please speak to your local branch for more information and for all T&Cs. 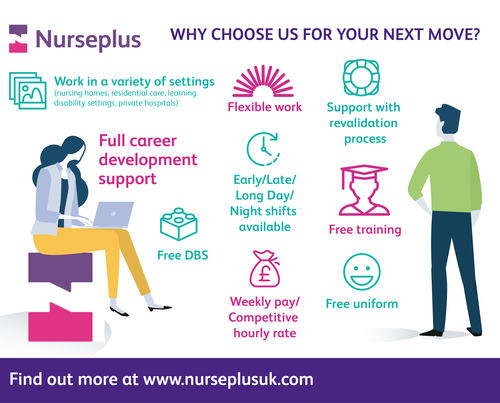 Apply Now Find your local branch Why join Nurseplus? * No work is guaranteed, please contact your local branch for availability. Payment will be made upon completion of qualifying hours T&Cs apply.